Duro-Last® Roofing, Inc. Honors Austin 360 Roofing LLC with Admission to The Century Club | 360 Roofing, LLC. SAGINAW, MICHIGAN—In recognition of outstanding achievement in quality workmanship, customer satisfaction, and 2011 sales excellence, Duro-Last Roofing, Inc. recently welcomed Austin 360 Roofing LLC to the Century Club. Club inductees were honored during Duro-Last’s National Sales Seminar held in Clearwater Beach, Florida, January 29-31, 2012. With corporate headquarters and a manufacturing facility in Saginaw, Michigan, and other locations in Grants Pass, Oregon; Jackson, Mississippi; and Sigourney, Iowa, Duro-Last Roofing, Inc. is the manufacturer of the “World’s Best Roof”®. Since 1978, Duro-Last has produced custom-fabricated single-ply roofing systems that are ideal for any flat or low-sloped building. Energy-efficient and extremely durable, the Duro-Last roofing system is also leak-proof, virtually maintenance-free and resistant to chemicals, fire, punctures, and high winds. Duro-Last also offers specialized single-ply roof membranes, standing seam panels, other metal components for single-ply roof installations, and a complete line of roof insulation products. For more information, contact Fred Sitter at 800-248-0280 or visit www.duro-last.com. 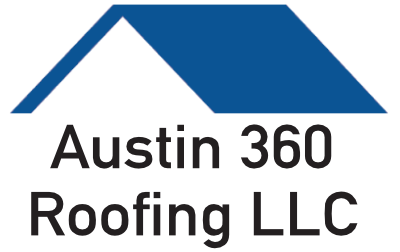 Austin 360 Roofing, founded in 2007, is a full-service Texas roofing company specializing in commercial structures – including office buildings, apartment complexes and industrial parks. The company provides expert craftsmanship on flat roofs, metal roofs, asphalt shingles and tile roofs. The company is locally owned and operated in Austin, TX, but serves the entire Central Texas region, as well as the Dallas and Houston areas. For more information see www.austin360roofing.com.